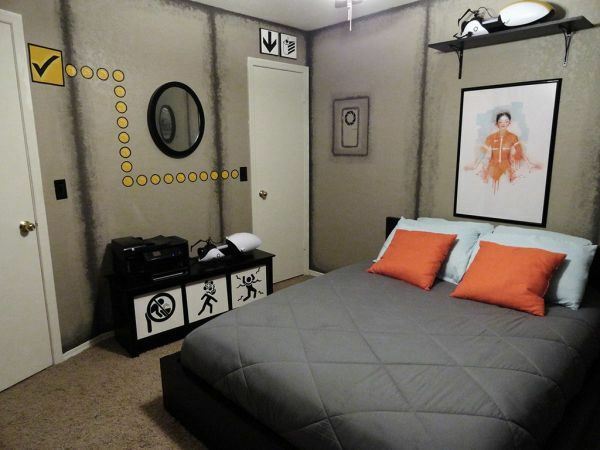 Lauren created a fantastic room themed around Portal. I’m loving the mirrors, the detailing/shading on the walls, and all of the artwork. She took plenty of pictures and recorded everything she did (and everything she bought) to make the room, and put it all on a blog titled “The Portal Bedroom.” Check it out if you’re interested in replicating the room or just want some inspiration for your own room remodel. What video game would you base a room design around? Either The Legend of Zelda or Mario, or some kind of amazing mash-up of each! It would be cool to have a Mario-esque landscape with Legend of Zelda scenery.